There are many misconceptions about the GMAT. Some are harmless, but others can impact a student’s ability to score well and reach their graduate school goals. Here are five common myths with which you should dispense quickly as you begin to prepare for the GMAT (for more information on the format of the GMAT, visit Peterson's.com). It’s stressful to imagine that your entire dream of business school rests on one test. And, unfortunately, that stress can increase the chances of you performing poorly on that critical exam. Luckily, this just isn’t true. Don’t get me wrong. 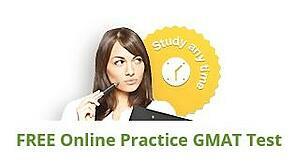 The GMAT is very important. It’s one of the top criteria admission committees consider, and if you want to go to a top ten school, you probably absolutely have to score in the upper 600s to have a shot, and most likely need to have a 700+ score to have a strong shot. But note, a) I’m only talking about top ten schools right now and b) I did not write that you must score 760 to have a strong shot at getting in. In general, MBA programs really DO look at undergraduate grades and classes, leadership qualities, business experience, community service, and perhaps most importantly, your rationale for attending and the ways in which you’ll contribute to their class. For example, I scored a 710 on the GMAT and was accepted at Kellogg, while my boss (who obviously had more experience) scored a 760 and did NOT get in. I can only imagine it had something to do with the story he told about wanting to go to business school. As with most things in business (and life), strategy matters a lot. Many schools use the GMAT as a threshold of sorts. Once you pass the threshold, you reach diminishing returns quickly, because after the committee sees a GMAT score beyond that threshold, they being to look at other factors mentioned above. I see too many students targeting top schools wasting their time trying with all their might to go from a 730 to a 760, and unfortunately they are almost certainly wasting their time and money. A top business school doesn’t view a 730 all that much different from a 760. Now, if you are targeting a top 100 business school, and you have a horrible GPA, a 730 GMAT score might get you accepted. And, if you are targeting a top 10 program, a 790 GMAT score might be high enough to stand out. But it is SO hard to get a 790. If you are currently at a 730, you are almost certainly better off focusing on writing excellent essays and pulling together a great application. Myth #3: The GMAT is a grueling math aptitude test. If you haven’t been in a math class in a long time, it’s easy to take a cursory view of the GMAT and, since many English speaking students are more comfortable with GMAT-verbal, view the whole test as a giant math test. In fact, the math skills tested on the GMAT are mostly from grades 9 and 10 (high school), though you are expected to apply those skills in creative and strategic ways. It is true that the GMAT does test a few math concepts that may in fact be completely new to you, such as number theory. We talk about some of these concepts in this previous blog post on how to study for GMAT-quant. But, for the most part, we are talking about 9th and 10th grade concepts and skills. Myth #4: The GMAT is a grueling English test. If you aren’t a native English speaker, or if you are but have always been drawn to math and science and don’t consider yourself anywhere close to being a voracious reader, the GMAT can then seem like a giant English exam. You are asked to correct sentences, and you open a prep book and start to read about a bunch of grammar rules that you need to know. In fact, though it is the case that a strong command of standard written English is important, the GMAT is explicitly not evaluating your level of English competence. So, now we have a sense for what the GMAT isn’t. But, what is it? Our friends at Admit Master GMAT Prep describe it as a "test of logic and reason and how you think." It requires you to take somewhat basic skills in math and English and use critical thinking skills to apply them strategically and logically.